Curtis “Curt” Alan Wesen, 61, of Glasgow, Montana passed away at his home during the early morning hours of Friday, January 11th, 2019 with his family and his best friend by his side after a courageous battle with cancer. He was born in Glasgow, Montana on April 7th, 1957 the oldest child of John A. & Dolores (Lee) Wesen. In his early years, he spent his days playing with his five younger siblings and helping his dad on the family farm and ranch where his love of tending the land and caring for livestock began. Curt attended school in Glasgow and graduated from Glasgow High School. He participated in football and medaled in multiple events in track and field. A very significant trip in Curt’s life was a trip to Washington D.C. for 4-H, where he formed several lifelong friendships and where he met his best friend of 46 years, Gary Kolstad. While attending MSU Bozeman he studied agronomy and excelled in socializing and skiing. He often spoke fondly of the time he spent in Bozeman and of the close friends he connected with there who referred to themselves as the Wild Bunch. Curt became a lifelong MSU Bobcat football fan and continued to attend and cheer on the Cats often with Sam and Judy Waters. Curt met the love of his life, Darcel Burfield at MSU and he filled her life with love and laughter for 36 years. They were married May 29th, 1982, during one of the worst snow storms to ever hit the northern Hi-Line. They lived on the family farm/ranch where he partnered with his father and brother. Soon after they were blessed with three children Jeron, Cole, and Kara. 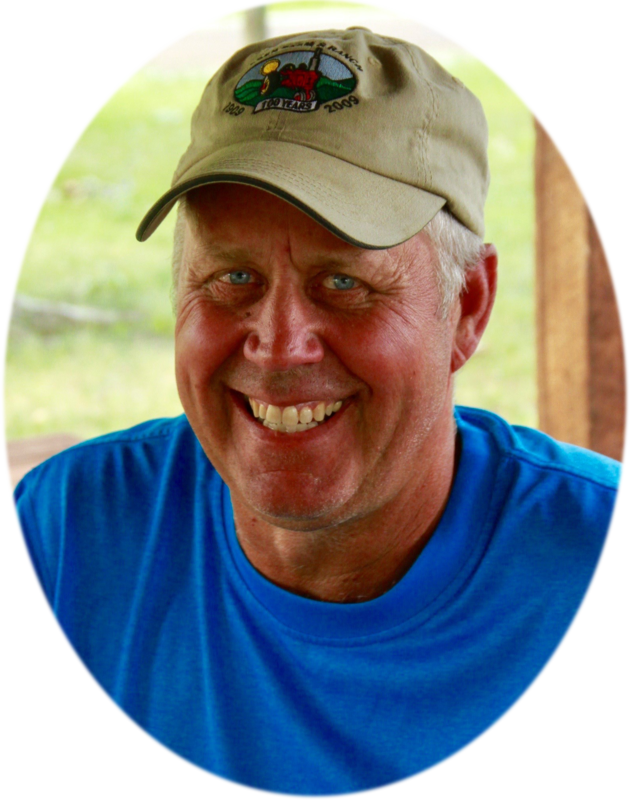 Curt loved spending time with his family and enjoyed teaching his children about farm and ranching, cooking them breakfast, and watching them participate in their various sporting activities. Curt was proud to be able to coach his sons, daughter, and the Glasgow High long and triple jump athletes to success at State. He had a gift for coaching and was always proud of his athletes. A major highlight in Curt’s life was becoming a grandfather. He loved to spend time with his grandkids, photographing their adventures, taking them for rides on the equipment, checking the fields and cattle and sharing his love of motorcycles and music. Curt had a wide variety of interests and enjoyed landscape photography, building stereo systems/listening to music, and visiting pawn shops. He often spent early mornings on his computer researching the different varieties of crops, livestock feeds and his latest interests. He served on the Valley County Fair Board and volunteered at various community events. Curt was diagnosed with stage IV adenocarcinoma of the esophagus in December 2016. He began two years of palliative chemotherapy until early November when he made the decision to end his treatment after complications. He never lost his ambition to live every day to its fullest, enjoying many concerts, a trip to the Super Bowl and a trip to Going to the Sun, Waterton and Many Glaciers with his grandkids. He never lost his incredible, quick sense of humor or his ability to make everyone in the room laugh. Curt said from the very beginning of his diagnosis “I am going to laugh my way out of here” and he did exactly that up to the day he passed. Curt was preceded in death by his beloved father John Wesen; father-in-law Ted Burfield; brother-in-law Mitch Burfield; and his paternal and maternal grandparents. He is survived by his mother Dolores; his mother-in-law Diana Burfield; wife Darcel, sons Jeron (Sara) and Cole of Glasgow, MT and daughter Kara (Noah) of Butte, MT; grandson Dallas; granddaughters Alexys, Harper, Kinley; sisters Susan (Dan) Hausauer, Joyce Wesen, Donna Wesen, Mike (Tara) Wesen, Lisa (Allen) Larson; sisters-in-law Perian (Chris) Smith, Teddi Jo (Paul) Johannsen, Caron (Joe) Lavoie and his beloved nieces and nephews. Memorials in Curt’s name may be made to the Glasgow Trust Fund, Glasgow Track and Field Program or a memorial of your choosing. He is survived by his mother Dolores; his mother-in-law Diana Burfield; wife Darcel, sons Jeron (Sarah) and Cole of Glasgow, MT and daughter Kara (Noah) of Butte, MT; grandson Dallas; granddaughters Alexys, Harper, Kinley; sisters Susan (Dan) Hausauer, Joyce Wesen, Donna Wesen, Mike (Tara) Wesen, Lisa (Alan) Larson; sisters-in-law Perian (Chris) Smith, Teddi Jo (Paul) Johannsen, Caron (Joe) Lavoie and his beloved nieces and nephews. We are so sorry for your loss but our loss also. I so enjoyed that dry sense of humor, and those fun fair days I shared with Curt. We also shared many discussions about the cows and which bull would work the best. I always looked forward to the next time I would see Curt. My heart breaks for you all. I, too, enjoyed my days with Curt and you, too, Darcel, on the fair board. We have so many good memories of that time. We have lost too many of our fair family…Jean, Jennie and now Curt. But we will never lose the laughter, fun and hard work of making that fair time a huge success. Hugs to the Wesen family. My heart goes out to all of you Darcel, Jaron and Cole and Kara! May God wrap his arms around you all and help you thru these difficult times. Curt was a great guy and I have fond memories of your family while I was grow up down the road! I just found out tonight of the passing of this amazing man! I always enjoyed waiting on the “crew” when they came into Nickel Bill’s because you all were so kind and patient, all of which I’m certain he taught you! I’m so happy to have known him and wish you all greatness in your lives because I feel that’s what he wants! Prayers of strength to you all! What a lovely and inspiring tribute to Curt. And what a trooper he was. The humor had to have lightened the process for all of you. Love the photo you chose for the obit, he lights up the page, the room, the world. I am sorry for your loss. Darcel, I’m sorry to hear of Curt’s passing, its been awhile since I’ve seen you guys but have fond memories of the times back at MSU where I met Curt and the Glasgow crew. I always remember Curt’s smile and sense of humor, both unique will be greatly missed. Darcel, this is Jeannie Miner. I don’t know if I ever had the chance to meet you but I wanted to let you know what Curt meant to me. I have been working for the government doing farmer surveys for 18 years. Believe me, I have run in to a few farmers who weren’t glad to see me!! So, when I received my first survey to do on your husbands operation I didn’t know him from Adam. Never have I been so warmly welcomed and treated so nicely as I did the first time I met your husband. I believe I continued to have him on many more surveys over at least 4 years and it didn’t matter if I visited him in person, called him or texted him he always got back to me promptly and kindly. Our relationship was very brief and ended to soon and I shed some tears today that my friend is gone and I just wanted you to know what he meant to me. I am so sorry for your loss. God bless you and your family. Curt was an amazing man as everyone can tell by the beautiful things written here. I don’t know if he ever told you, but I had the privilege of being on the same football and track teams as him. My best memory of those days was watching him break the state triple jump record. Unfortunately, the very next jumper beat him by 1/4″! True to form, there were no complaints or whining from Curt. He congratulated the other kid and was genuine in doing so. I always have and will continue to admire him..
Our thoughts and prayers are with your entire family at this time. May God bless and carry you through. I am so sorry for your loss. May your wonderful memories of Curt bring you peace during this difficult time and always. Peace be with you all.